In the first of a series of blog posts highlighting state-led energy efficiency programs recognized in ACEEE's States Stepping Forward report, we look at the Colorado ENERGY STAR New Homes Program. For more detailed information on this program and others, be sure to check out the report here. The Colorado ENERGY STAR New Homes Program (ESNH) presents an excellent "hub and spoke" model in which the state energy office forms regional partnerships with counties, cities, nonprofits, and utilities to offer locally tailored programs to promote ENERGY STAR certification in new residential construction. Whether the partnership can contribute matching funds for the local program. 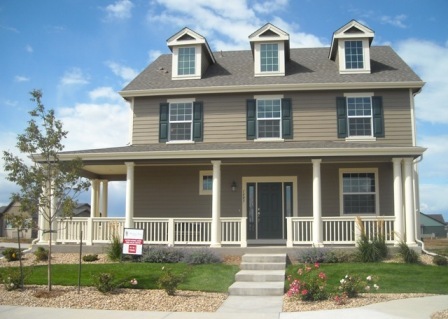 Launched in 2008, the program has resulted in impressive market penetration in the residential market for ENERGY STAR-certified new homes in Colorado from 8.9% in 2007 to 32.7% in 2009. The Governor's Energy Office estimates the 2,354 new ENERGY STAR homes built in 2009 will save residents 11,000 MWh of electricity, 102 MMBtu of natural gas, and $2 million in energy costs. For more information about the program, visit the Web site here. To learn more about energy efficiency policy in Colorado, visit the ACEEE State Policy Database.